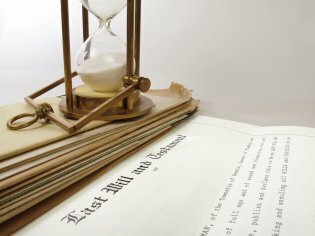 If you’re tempted to use DIY forms to create your will, you should strongly consider consulting an estate planning lawyer in Tracy or Livermore first. Estate planning law is complicated, and it’s easy to make mistakes that could cost your heirs. Errors by omission are also common. Did you know, for instance, that if you have minor children at the time of your death, the state can decide who will get custody of them? You can prevent this potential catastrophe by talking to an estate planning lawyer about your situation. Attorneys who handle estate planning matters have years of experience navigating the nuances of the law. Your lawyer can give you solid, actionable guidance on protecting your family’s future. For many families, creating a trust is an ideal way to retain control of assets and minimize estate taxes. Your attorney can help you weigh the benefits of setting up a trust. 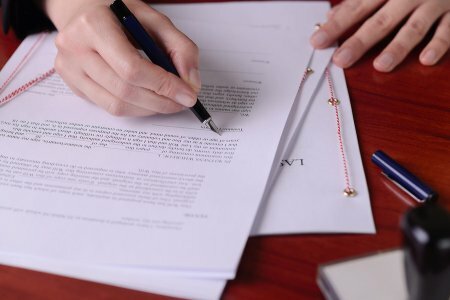 When it’s time to draft the documents, letting a lawyer handle this task ensures the job will get done right the first time. Car crashes, dog attacks, and slip and fall incidents all have at least one thing in common: The potential for long-term disability and disfigurement. 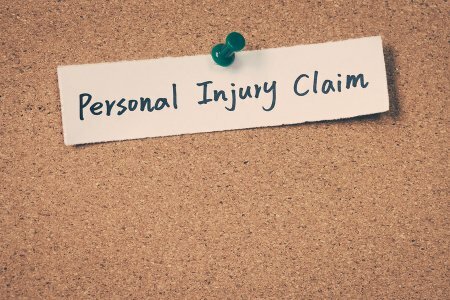 If you have experienced life-changing injuries due to someone else’s negligence, you have the right to seek compensation with the help of a personal injury lawyer . An injury lawyer serving Tracy and Manteca can guide you through the process of assessing the likelihood of long-term losses and calculating future damages. To obtain a successful outcome for your case, your injury lawyer needs as much documentation as you can provide. Your medical records will play a vital role in your case. Be sure to attend every scheduled follow-up appointment with your doctor, and fully disclose any lingering symptoms or physical deficits you’re experiencing. Keep a record of your sessions with physical or occupational therapists. As you progress toward recovery, ask your healthcare provider if there is a likelihood of a long-term impact from your injuries, such as recurrent health problems or an increased risk of degenerative problems later in life. If so, ask your doctor to make a note of it in your medical records. Long-term injuries often involve some degree of functional impairment. For example, you may suffer from reduced vision, poor mobility, or cognitive decline. Not only do these problems affect your quality of life, but they may also prevent you from working at your full capacity. Your injury lawyer might ask you to meet with a life care planner or vocational rehab expert to evaluate your long-term damages. This enables your lawyer to seek appropriate compensation on your behalf. It’s not as uncommon as you might think for individuals to disinherit family members. However, estate planning is always a tricky subject. If you do intend to disinherit someone, it’s wise to discuss this with your attorney in Tracy or Livermore. This is because estate law approaches disinheritances in different ways, depending on that person’s relation to the testator of the will. The decision to disinherit a family member is entirely yours to make. People disinherit family members for a variety of reasons. 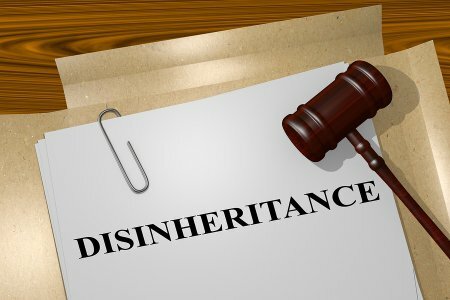 Given the prevalence of estrangement in families, disinheritance often stems from the simple fact that the testator has no relationship with the family member. Or, perhaps the disinherited family member is already financially secure and doesn’t need the inheritance as much as other family members. If you’ve decided to disinherit someone purely because you believe that person will make poor financial decisions, consider asking your lawyer to set up a trust instead. As your estate planning lawyer will advise you, you do have the right to distribute your own assets in any manner you please. However, you might not have full ownership in all of your assets. If you’re married, your spouse is legally entitled to half of the marital assets. In most cases, the only way to completely disinherit a spouse is if he or she agrees to be disinherited via a legal contract. If you’re separated from your spouse, getting a divorce finalized may be a more feasible option. Estate law is more flexible regarding the disinheritance of a child. In most states, children do not have the legal right to an inheritance. If you intend to disinherit a child, you may be tempted to simply make no mention of him or her in your will. Unfortunately, this may set the stage for a will contest. The disinherited child may contest the will out of the belief that it may not be valid. Instead of simply leaving the child out of the will entirely, it’s best to specifically state that you do not intend to leave any assets to a particular person. For the sake of familial harmony after your death, it may be wise to explain your reasoning in a separate letter to be opened after your death.